Philadelphia-based accelerator focused on media, entertainment, and connectivity attracts applications from hundreds of entrepreneurs around the globe. 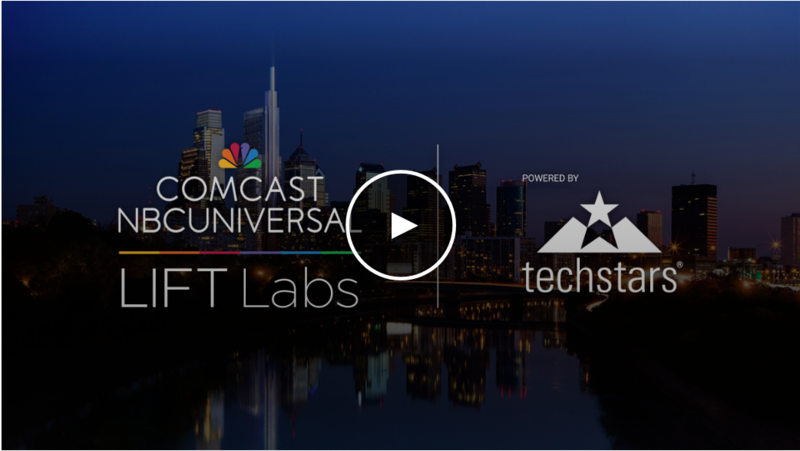 Comcast NBCUniversal today announced the 10 startups selected for the inaugural Comcast NBCUniversal LIFT Labs Accelerator, powered by Techstars. These startups were chosen through a global application process targeting startups who are developing the next generation of media, entertainment, and connectivity companies. They will call Comcast NBCUniversal's global headquarters in Philadelphia home for the duration of the 13-week program, which kicked off today and will culminate in a Demo Day on October 11. Over the course of the program, startups will refine and test their business models while leveraging one-on-one mentoring from experts across Comcast NBCUniversal's businesses, including the NBC and Telemundo broadcast networks, film studios, cable networks, Comcast Ventures, and Xfinity products and services, as well as Techstars' mentors with deep industry, investment, and entrepreneurship experience. "We are excited to mentor and collaborate with these innovative companies who are experimenting in interesting areas related to our business." A selection committee made up of Techstars experts and leaders from several Comcast NBCUniversal business units screened the startup applicants working in five areas of focus: Connected Life, Entertainment Everywhere, Next Gen Marketing, Smart Places, and Digital Wellness. alive5 provides businesses with PCI-compliant chat software that allows them to engage and seamlessly accept payments from customers via website, social media accounts, and text messaging. "We are excited to offer our 10 selected companies this one-of-a-kind program, which pairs up Techstars' proven mentorship-driven accelerator with Comcast NBCUniversal's deep industry expertise," said Techstars Managing Director, Maya Baratz. "This is going to be an amazing year for our program and the Philadelphia startup community!" Startups from around the world applied to this exclusive program, including submissions from startups in 38 countries and all of the major metropolitan markets in the United States. Comcast has a long history of supporting startup communities and this accelerator is just one of the many ways in which entrepreneurs can gain valuable access and insights to Comcast NBCUniversal. Comcast launched its first venture arm in 1999, and in 2010, Comcast Ventures was formed and has since grown into one of the most active corporate venture arms in the country. LIFT Labs offers programmed talks, mentor sessions with Comcast NBCUniversal employees and partners, plus events and other educational resources designed to help entrepreneurs launch and grow their businesses.